I must admit my bike training has taken a bit of a back seat recently, I’ve not actually been out on the roads since the beginning of November. I’ve had good intentions to get out for a long ride every weekend, but it hasn’t quite happened due to illness, weekends away and the weather. At the first hint of ice on the roads or a windy day, I opt for a run, spin class or swimming session instead. I’m just too nervous to venture out when the conditions are treacherous. I picked up my new road bike last weekend from a local independent shop Vincini Cycles. Colin, the owner has been hugely helpful in setting up the bike correctly and letting me trial it on his turbo trainer. It feels very comfortable, despite the saddle being much higher than I am used to! I can’t wait to take it out for a spin. Colin also offers coached turbo trainer sessions within the shop, which myself and a few club mates plan to take up this season. I’ve signed up for the 39 mile Ordance Survey Equalizer Sportive in February, to help me get in some early season miles before the triathlon training period really kicks off. 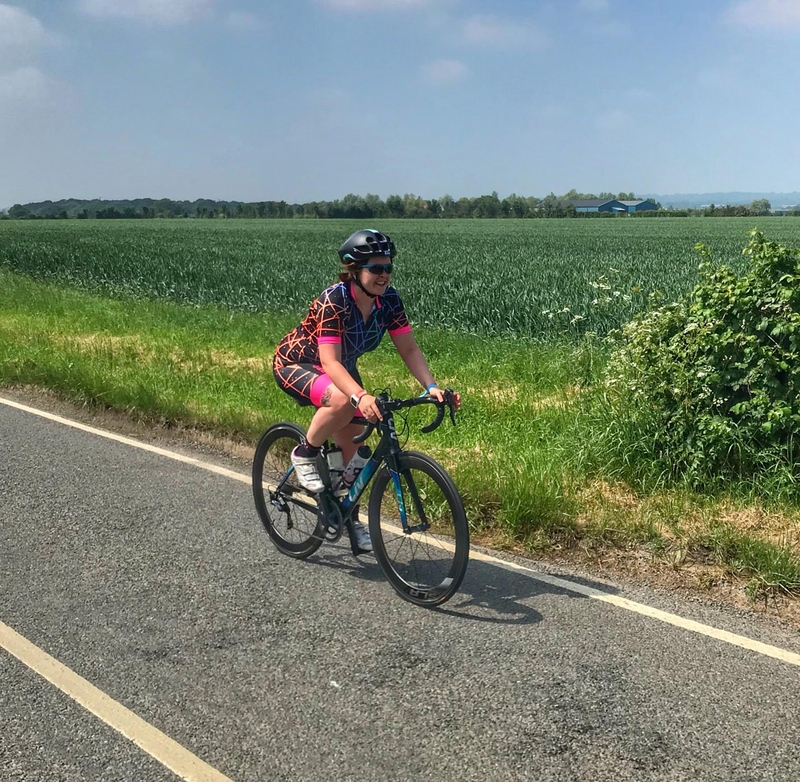 I find that organised events are a perfect option for nervous cyclists like myself, as the route is planned and clearly signposted with feed stations along the way. Cycling in the company of experienced riders helps me to feel at ease, rather than heading out alone. I’ve also been sent a kit from LV= as part of their initiative to promote safe cycling. The kit contains a bike lights, a high-vis backpack rain cover, a puncture repair kit and a spare inner tube. 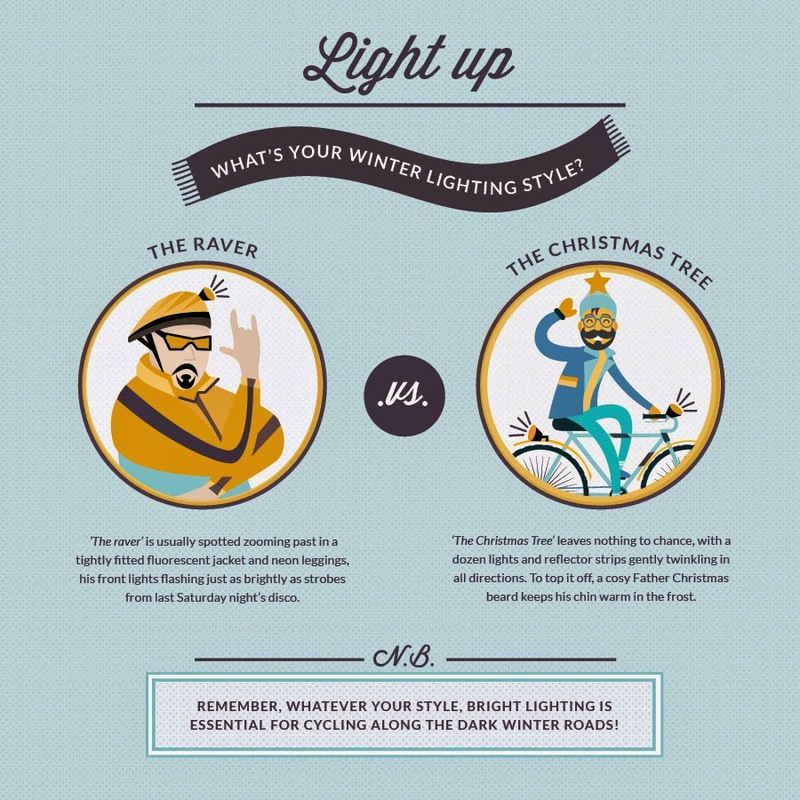 Bikes should be equipped with front and rear lights, the ideal combination is one flashing and one constant. The flashing light makes you more visible and the constant one helps other road users to judge your speed and distance from them. In addition, cyclists should wear high-visibility clothing. It’s such a pet-peeve of mine to see cyclists dressed in black, with no lights and no helmet. 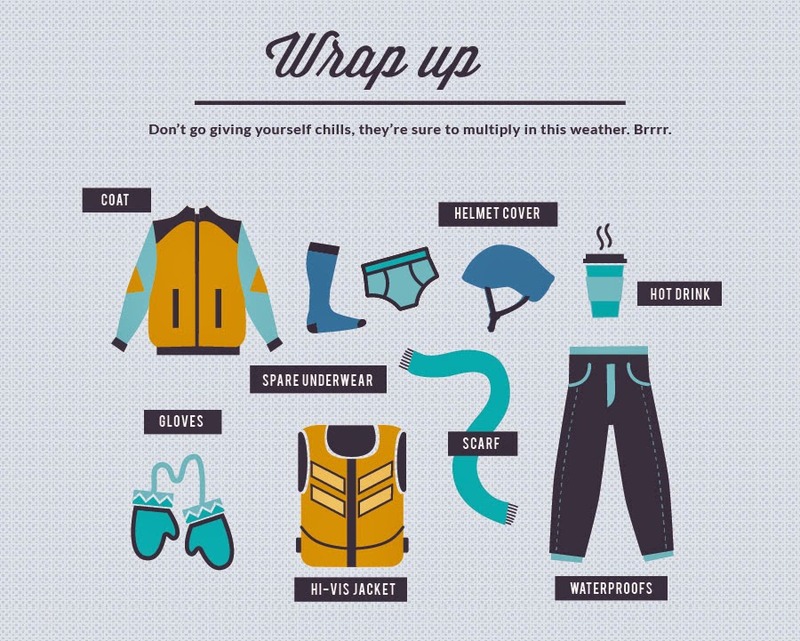 Layer up in garments which are waterproof, windproof and warm. I’ve kitted myself out with these Altura Winter Cruisers which have reflective panels and a thermal lining. These Specialized wool-lined gloves are another recent purchase to keep my hands toasty on long rides. Before setting out, take a few minutes to check your bike over for tyre air pressure, examine that the wheels are not unnecessarily loose, test that the pedals spin freely, tighten your saddle so that it is firm and confirm that the chain runs smoothly. As my bike is brand new, it is currently all in perfect condition! I actually learned in detail how to safety check your bike at a course I did last summer. Carry an emergency kit, so that if you encounter a flat tyre, you are not only able to fix it but can do so comfortably. The bare minimum you should carry is a spare inner tube of the right size, a puncture repair kit and a pump. You will also need tyre levers and a spanner to get your wheel out. I learned how to replace an inner tube at a tri club session last summer, but fortunately I’ve not had a puncture as yet. So I have all the gear, I’m kitted out and prepared… now I just need to get out and ride! 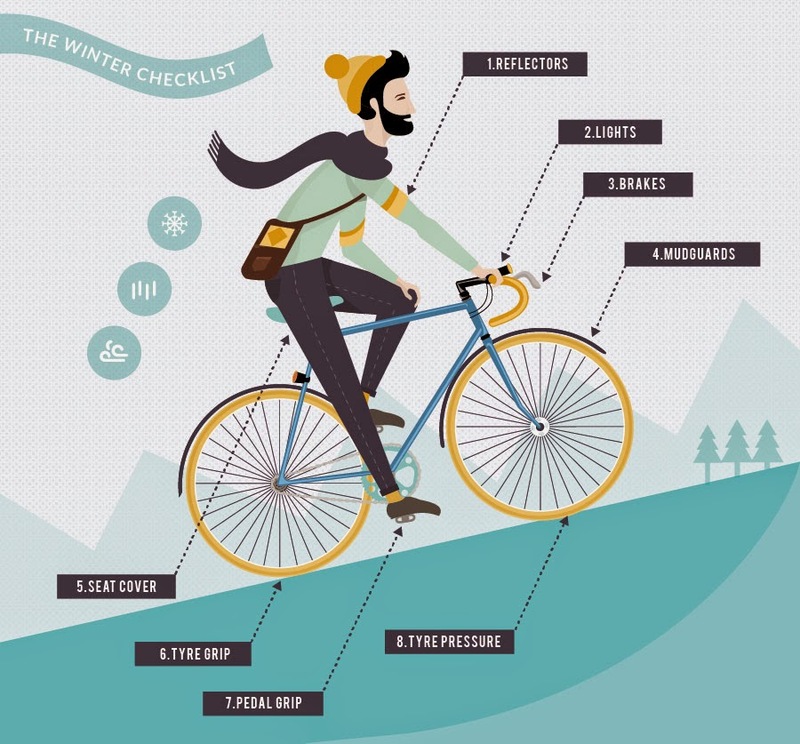 Have you done any winter cycle training? Any tips?